Cali has been practicing since 2015, but may be a familiar face to many, having grown up in the area. 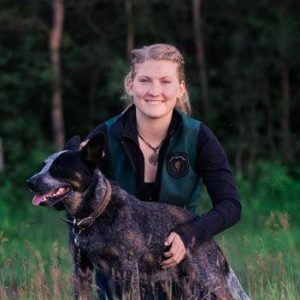 Often found in the footsteps of her veterinary parents, Dr. Roy Lewis and Dr. Carol Shwetz, Cali is no stranger to veterinary medicine and the Westlock Veterinary Center family. Cali has two horses of her own, a blue heeler dog named Steady, and a cat named Mesa. She practices both in small and large animal veterinary medicine, but has special interest in equine care. In her free time, Cali can be found riding her horses, hiking or paddle boarding with her dog, and partaking in all things outdoors.